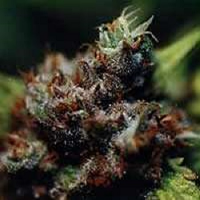 White Yoda Auto has been developed from a hybrid of Lowryder and a 2002 selection of the well-known White Russian. 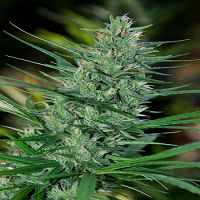 White Yoda Auto Feminized Cannabis Seeds by Philosopher Seeds: White Yoda Auto has been developed from a hybrid of Lowryder and a 2002 selection of the well-known White Russian. 7 generations were needed to introduce the Russian genetics and to show the full potential of this true legend of marijuana strains. 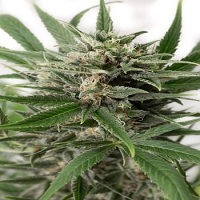 White Yoda Auto is an easy to grow strain, with compact growth that produces a main central cola ready to harvest 75 to 90 days after germination. 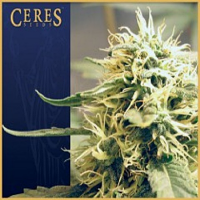 In outdoor crops, White Yoda Auto produces a huge amount of flowers covered in resin. If grown on a 20 L container during the months of the year with more sun exposure, it can easily exceed 120cm in height, producing 100 to 125gr/plant. In indoor crops, White Yoda Auto is perfect for novice growers with small spaces. 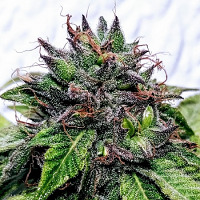 Whether indoors or outdoors, it is strongly recommended using a single pot or container after germination for the entire crop cycle, the aim of this hybrid was keeping the organoleptic and psychoactive qualities of one of the parents of this crossing, White Russian. The taste is sweet and sugary with earthy undertones that perfectly blend, offering an exquisite taste for your palate. The effect of White Yoda Auto is relaxing but balanced, offering an intense feeling of well-being for both body and mind.